Patriots fans who were dreaming of Matt Forte playing for New England have had their hopes dashed. 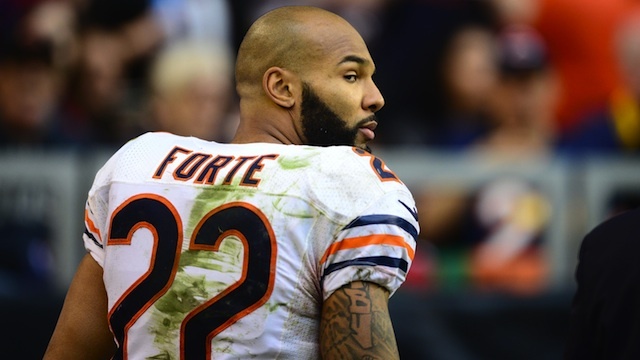 Forte has signed with the rival New York Jets, according to Adam Schefter. Forte had been with the Chicago Bears from 2008 until 2016. Forte had previously said that he wanted to play for a Super Bowl contender and would take less to do so. His choosing of the Jets leaves questions of his sincerity regarding that statement, as New York isn't exactly a Super Bowl contender.